The majority of consumers spend a large part of their day staring at screens. Whether it’s responding to an email on your phone or watching a video on your laptop, it’s nearly impossible to avoid the glow from a device. 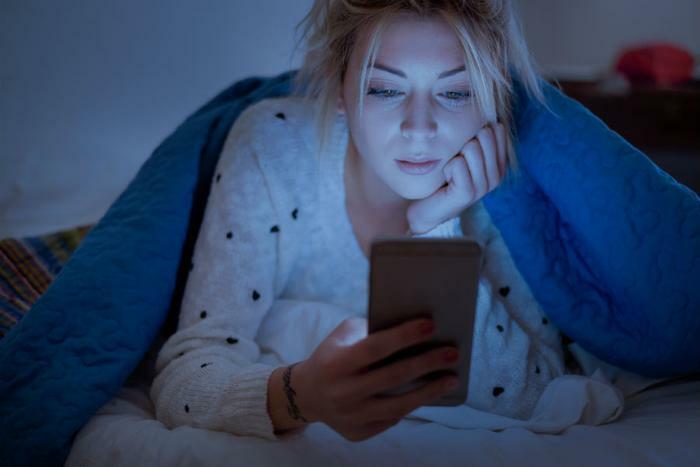 Though many are concerned about the addictive nature of technological devices, a new study found that consumers should also be concerned about how screen time affects their sleep schedules. Researchers from the Salk Institute found that our internal clocks can get knocked out of whack based on the way different cells in our eyes take in the artificial glow from devices. Prior to their experiment, the researchers explained that the way our eyes respond to light -- or lack thereof -- is responsible for many of the processes that allow us to fall asleep and stick to a regular sleep schedule. The researchers conducted their experiment on mice and started production of melanopsin in the mice’s eyes with molecular tools. Melanopsin may play the biggest role. The protein is produced by cells in the retina when exposed to light for an extended period of time, and it helps regulate sleep, alertness, and consciousness. However, after just 10 minutes of bright light exposure, the brain’s ability to produce melanopsin is compromised and the sleep schedule is altered. Following the experiment, the researchers found that when repeatedly exposed to long pulses of light, only some cells were capable of responding normally, whereas others became numb to the light exposure. Additionally, the researchers found that melanopsin would only respond to a prolonged light source when arrestin was present -- a protein that halts the activity of some receptors. This means that the mice that didn’t have arrestin were unable to respond to the extended light source. With a deeper understanding of how our eyes process light and the effects it has on our ability to fall asleep, the researchers are hopeful they’ll be able to treat jet lag, migraines, insomnia, and other issues associated with circadian rhythm disorders. Many parents have struggled with finding the right balance for their kids’ use of technological devices. Much research has been done that shows the positive health benefits that come with putting a time limit on screen time. Late last year, researchers found that screen time before bed can affect kids’ sleeping patterns and increase their risk of developing obesity. While any screen time had a negative effect on sleep and body mass index (BMI), the study found that time on a smartphone or a computer before bed were more detrimental than time spent watching TV or playing video games. Cutting back on children’s screen time has also been linked to improved cognitive function. Researchers say that sleep, physical activity, and screen time are three key factors in cognitive functioning, and many children aren’t hitting the recommended targets in each category. Lead author Dr. Jeremy Walsh noted that “more than two hours of recreational screen time in children was associated with poorer cognitive development,” and encourages parents to place an emphasis on a well-balanced, healthy lifestyle. Earlier this year, the American Heart Association released new guidelines that echo Dr. Walsh’s sentiment: children shouldn’t be in front of a screen for more than two hours per day. Too much screen time was associated with an increase risk of obesity, as many children opt for iPads, laptops, and video games over physical activity.